guide us through the unyielding night. Shadows encroach and you must beware. To hammer down those who shine bright. I am here to heed your prayer. Fantasy Faire is only here for a short period of time, and while many of us wish it wasn’t so, and we could have the sims for a whole month, or more, it is not to be. It ends up being a flurry of activity, to catch every piece of magic, before it all comes down, and fades into pixel mythos. There is a lot at the faire, not only to look at, but to do. Today, for example, is Terry Pratchett Day, with loads of events taking place to honor the birthday of this now deceased Fantasy Novelist. Feel free to look at some of today’s Events HERE. ImmateriA created this Headdress for Fantasy Faire this year. My whole outfit was actually inspired by it. It is a statement piece for sure. Just a little closeup thrown in here. [CIRCA] is known for being in the Home&Garden Category, carrying many builds, furniture, lightning, plantlife and other such items. What my not be known is that the Designer, Cherelle Capra, has a love of making jewelry, and you can often see this in some of her event Gachas. 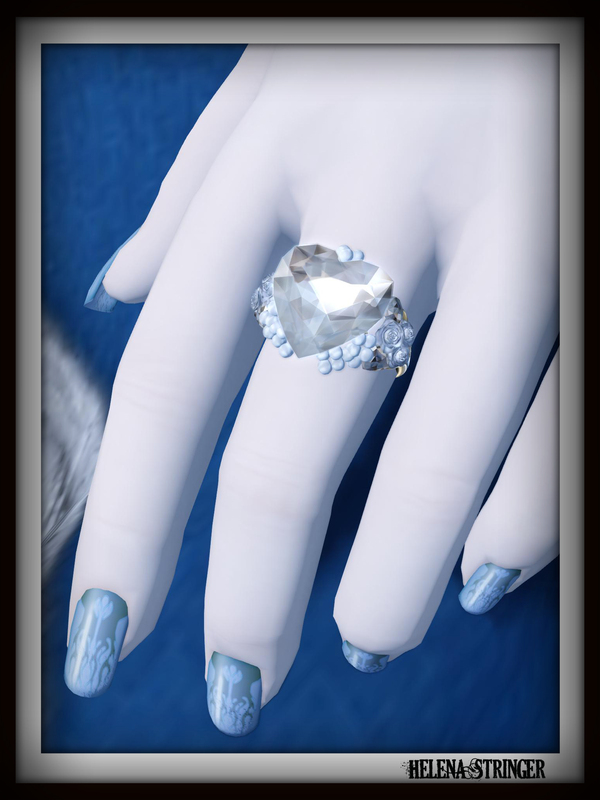 This ring actually isn’t a in a gacha, but is a stand alone piece, which you can purchase at Fantasy Faire. There are 8 variations in total at the event, as well as some other jewelry pieces. Poses by Eternal Dream, from their Fantasy Faire 2015 booth. The first one is from the Saella Pose Pack, and the second is from Adina Pose Pack 1. View all the sims, and the designers on them, HERE. This entry was posted in Expos, Fairs and Fundraisers, Great Places to Shoot, iheartslFeed, Second Life and tagged [CIRCA], Alegria, amacci, Avatar Bizarre, Chairty Event, Charity, Eternal Dream Poses, Even-Tide, fantasy faire, Fantasy Faire 2015, ImmateriA, Material Squirrel, Musa, PoshTale, relay for life, RFL, Second Life, SL, Slink, Soul, the stringer mausoleum, tuli on April 28, 2015 by Helena Stringer.